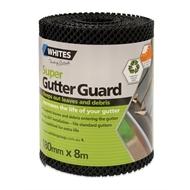 Whites Super Gutter Guard is a heavy duty gutter mesh manufactured from recycled plastic and UV stabilised for long life. It is easy to install and designed to fit most gutters with a small aperture that stops fine leaves and debris, and allows good water flow. Baths Showers & Toilets How to waterproof a shower Before you install a shower, you need to waterproof the surrounding area. We’ll show you what’s required to do the job yourself. Baths Showers & Toilets How to waterproof a bathtub Before you install a bath, you need to waterproof the surrounding area. 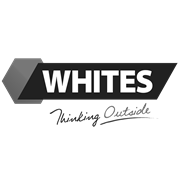 Baths Showers & Toilets How to screed a shower tray When you are installing a new shower tray in your bathroom, it’s important to know how to screed the base properly before laying the tiles. Baths Showers & Toilets How to paint a bath Give your old bath a new lease on life with a fresh coat of paint.